I just adore this sweet little pandas in the Party Pandas stamp set! As soon as I saw them, I knew I had to create a Valentine’s card using the panda holding a letter. I’m using up my stash of retired and non-Stampin’ Up paper, but the current Petal Passion paper would work so well with this card. I used my Melon Mambo watercolour pencil to colour in the heart on the envelope the panda is holding, and my Stitched Shapes and Layering Circles framelits to cut out the shapes. It’s a very simple card to create, and is sure to warm the heart of whomever receives it! 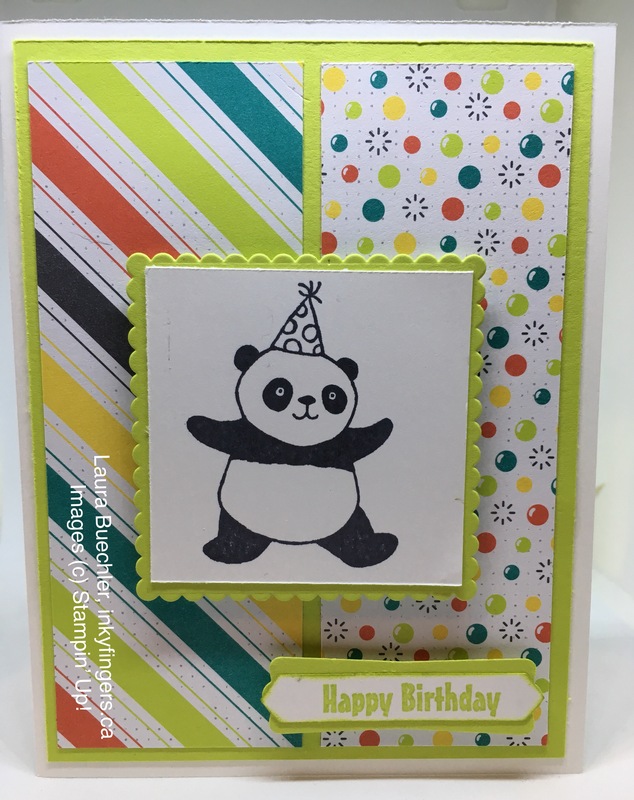 Here’s another adorable panda card I created! 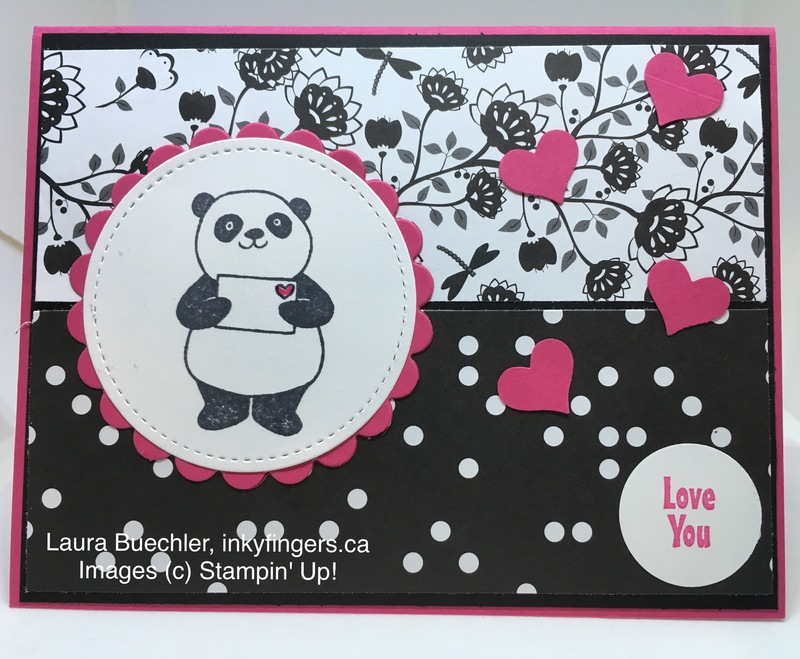 This card uses two Sale-a-Bration products – Party Pandas and Bubble Over Designer Series Paper! I also used the Layering Squares framelits and the Classic Label punch. You can get the Party Pandas stamp set (or any other Sale-a-Bration product of your choice) for FREE when you order $60CAD in product before March 31st. You can order through my online store, or contact me to place your order. If you’re in Nanaimo, come along to a class to try out these and other current products! Comment below and show me what you’ve created with a free Sale-a-Bration product! I love to read your comments and see your creations!